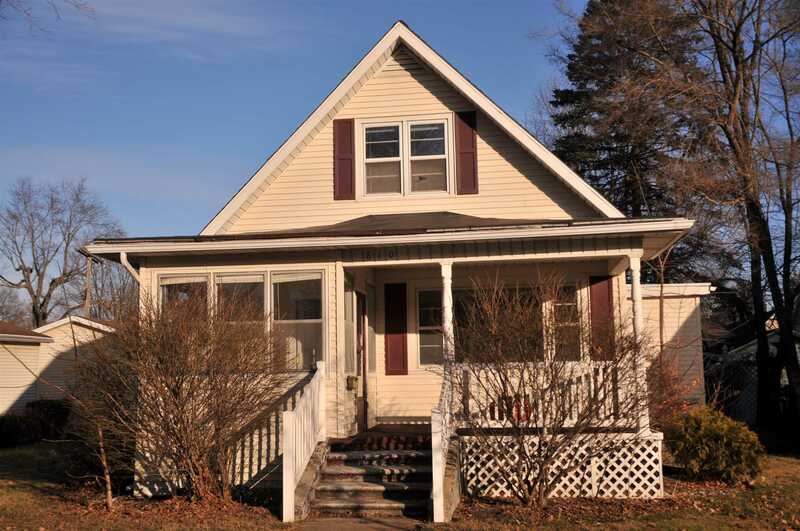 LOVELY 2-3 BEDROOM HOME WITH A GREAT FRONT PORCH! Half of the porch has been enclosed so you can relax in the winter months as well. Lots of character with arched doorways and Hardwood Floors in the Living Room and Main Floor Master Bedroom. The large Living Room also has a beautiful Open Staircase. The upper level has a half bath and the 2nd Bedroom. The landing can also be used as a 3rd bedroom if desired since it already has a closet. Freshly painted throughout in neutral colors makes this home move in ready! Nice Eat-In Kitchen and a Main Floor Laundry. The backyard has an above ground pool that stays and a nice privacy fence. A 1 car detached garage is also included. NEW Water Heater 2018 and 4 yr old Roof. Call for your private showing!